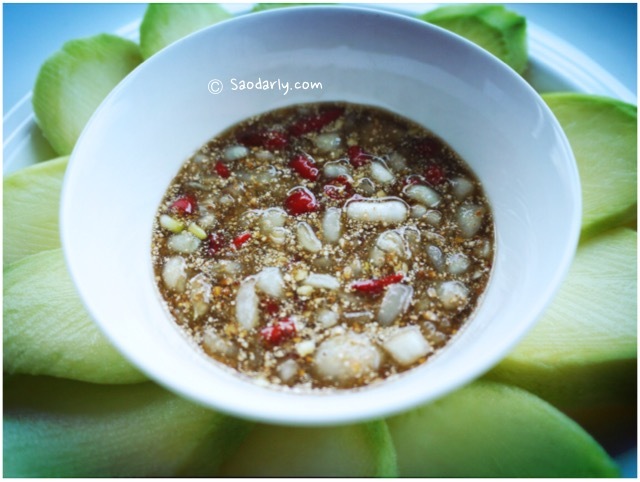 Young Green Mango (MakMuang; ຫມາກມ່ວງ) with Chili Dipping Sauce (Jeow Nam Pa Wan; ແຈ່ວນ້ຳປາຫວານ) for an afternoon snack. 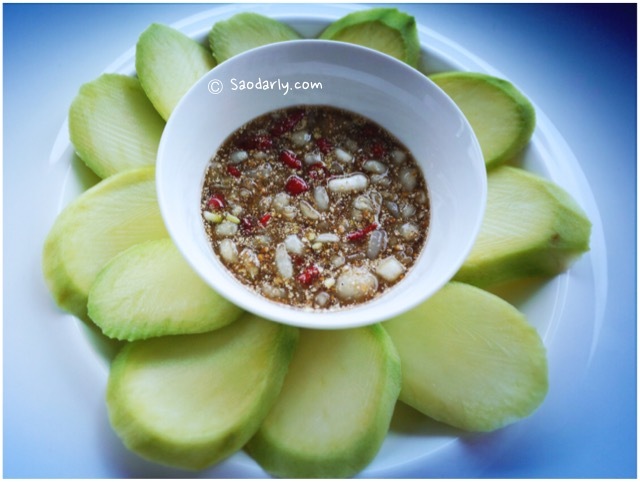 I had three small green mangoes left in the refrigerator and decided to make Jeow Nam Pa Wan to go with sliced of mangoes. The Jeow Nam Pa Wan (chili sauce) has the following ingredients: fish sauce, sugar, shallot, chili pepper, and ground roasted sticky rice.